Admissions are such a thing for us! We just can’t take it lightly, can we? Well, not to blame our parents, they just want the best for us. However, the question here is—do traditional methods to select colleges offer an efficient solution? If the answer was yes, you wouldn’t have been here reading this post! It took us years to fix our priorities in many aspects of life; let’s just admit that college admissions are no exception! The need for an on-line community for admission experts fuelled the aspirations of coming up with something like Admit Hub. It won’t be unfair to say that admissions are a ‘black box’ with many aspects of it kept hidden from public. Parents expend both money and time with an attempt to game-the-system, because they believe getting into the best colleges is the gateway to success. Yes, to an extent that is true, but how do you count your options? How do you measure your prospects when it comes to admissions? How do you circumvent the unnecessary hassle that the society has somehow created for itself? AdmitHub takes an ‘innovative-shot’ at addressing all these questions and much more. AdmitHub is an on-line platform for expert admissions advising. They use technology and expertise to bring transparency and access to the application process. Their free and open Forum allows anyone to “ask them anything about admissions. Their ‘bot’ helps students complete their applications in as little as five minutes per day. And, their team of former admissions officers provides detailed feedback on each application. After building the website and assembling a team of industry leaders, their next challenge is getting the word out to students and parents; so that they know such resource exists! Meet the Brains Behind AdmitHub! On the other hand, Kirk Daulerio is a first-generation college graduate of Swarthmore ’95 and UPenn ’99. He has nearly 20 years of experience in college admissions and counseling. He’s worked in admissions at Princeton, University of Pennsylvania, and Bowdoin College. He also served as Director of College Counseling at Gould Academy in Maine. The last three years—he was the Director of Member Relations for The Common Application. Drew worked in education technology for his entire career. Kirk also has spent his entire career in secondary and higher education. They recognized an opportunity to combine their skills and create the first open online community of admissions experts. Given current system for admissions, a change or transformation was certainly on the horizon. 53% of students from low-income backgrounds apply to zero schools whose median test scores match the requirement, they somehow lose the plot. Based on a nationwide 33% transfer rate, myriads of students do not attend the right college. The average public school counselor works with 471 students and spends an average of twenty minute a year with each one. Wealthy families can afford private consultants, while the rest resort to online message boards whose information is somewhat inconsistent. 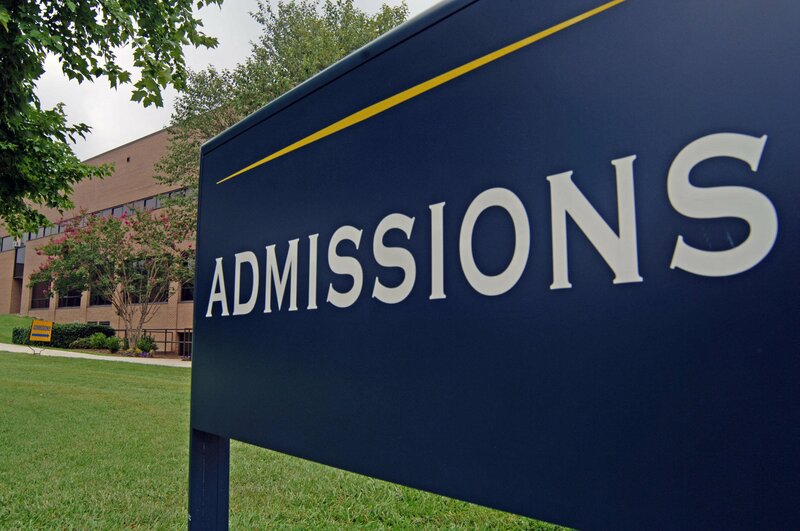 The college admissions industry is ripe for disruptive innovation. AdmitHub is the only company in the space combining internet technology with industry expertise to scale a global product to applicants everywhere. AboutAdmissions.com is the first industry-supported community of admission and counseling professionals offering free, expert advice to students and families around the world. AdmitHub’s automated application assistant (aka, their “bot”) engages students over text message and helps them complete their college application in as little as five minutes a day. Their team of former admissions officers also provides personalized feedback so applicants can make the most of the admissions process. They believe there is a real opportunity here to address the inequality of access to information about the college admissions process by creating a global community of industry leaders who are willing to engage openly with students and parents via their site. The US admissions market is a $2 billion cottage industry that has quadrupled in the last five years. Several companies – Chegg, AcceptU, IvyWise, CollegeCoach, SparkAdmissions, and dozens of individual consultants—are bringing traditional counseling services online. For those who cannot afford private counseling, which costs an average of $4000 and up, students and parents often resort to sites like CollegeConfidential (a Hobson’s company), where opinions come from peers and parents. AdmitHub is the only company using technology to deliver expert admissions advice at scale. Their community of industry leaders has served on admissions committees and read hundreds of thousands of student applications. Their technology gives you the opportunity to reach all applicants everywhere, regardless of their means, with personalized expert advising. They are starting with college admissions with an eye towards prep schools, law, business, medical, and all other graduate and professional schools. They have something to offer all applicants everywhere. They’ve received support from several college admission deans and directors. They also have several testimonials from students, parents, and nonprofit partners; which is encouraging enough to go ahead with the idea. Target audience is no doubt, anyone and everyone under the blue sky seeking for admissions anywhere. People can hire one of AdmitHub’s former admissions officers to provide personalized feedback on their entire application. They charge $399 for application reviews and offer additional add-ons like supplement reviews, interview prep, wait-list letter reviews, and essay coaching. Having experienced the age-old admission procedures, it is essential that you realize the importance of such ideas; they can most certainly bridge the gap between knowledge seekers and knowledge bestowers like never before! Previous articleCuldesac lets Kids share new outdoor games they created, with others. Freeddo Says Lets Meet Over Coffee!